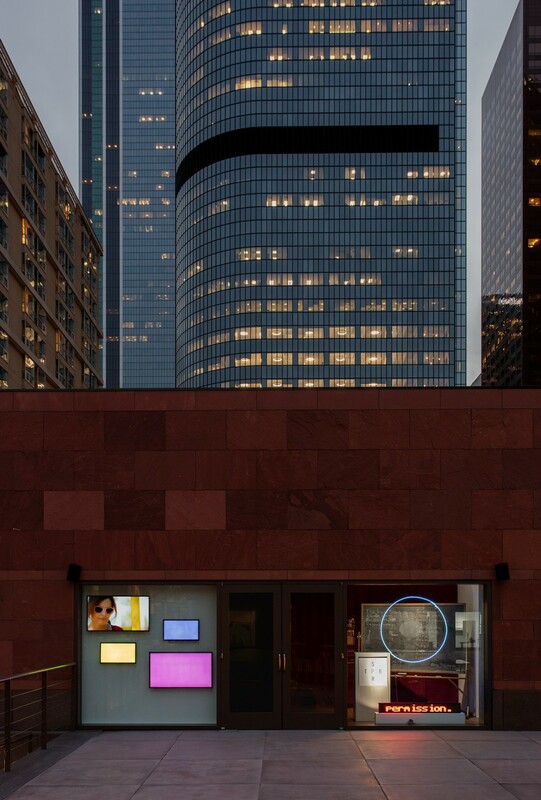 One of the unique characteristics of the contemporary art scene in Los Angeles is the proliferation of artist-run spaces, many of which are located in storefronts across the city. MOCA was founded by artists and, due to its philosophy of placing artists at the center of its mission, has long been known as “the artist’s museum.” Storefront continues this tradition by inviting two artist-run organizations to take over MOCA’s Marcia Simon Weisman Works on Paper Study Center each year. Called a “valise fiction” for the portability and unfixed tenancy of its mission, the Poetic Research Bureau (PRB) has for nearly two decades been a lodestar for language-centered inquiry in Los Angeles. Avowedly non-institutional, it has hosted 300+ readings, talks, screenings and performances in galleries, DIY punk clubs and project spaces throughout the city, drawing in a loose-limbed community of poets, conceptual artists and freethinkers. Since 2010 the Bureau has been anchored on Chung King Road, in Los Angeles’s historic Chinatown, where it hosts one of the city’s longest-lived reading series, programmed by Joseph Mosconi and Andrew Maxwell, among others. 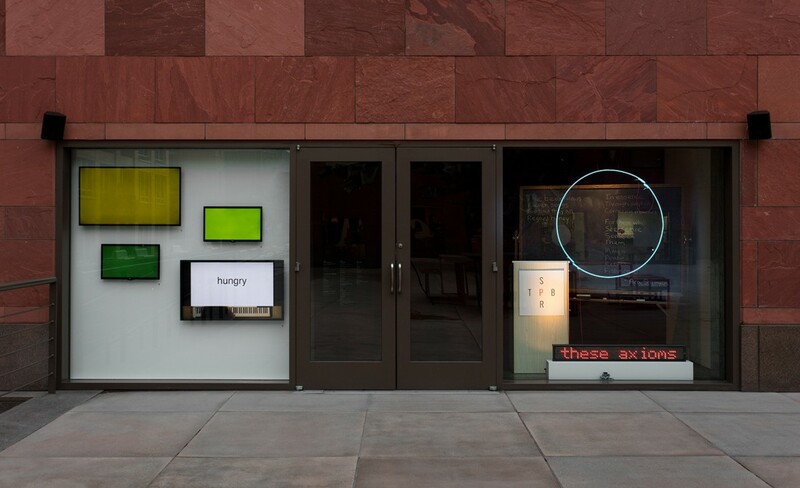 Taking its title from a lecture by poet Susan Howe, and gesturing toward Los Angeles conceptualist Guy de Cointet’s hermeneutic talk-performances of the 1970s, THIS KNOWN WORLD restages the PRB as a pocket theater from which messages of great moment emanate and dissolve. Here, various screens re-imagine Bureau directors, previously unseen or unknown, guiding careers of inquiry down forking paths. As with the PRB’s regular programming, undisciplined enthusiasms are readily embraced. Psychic research, detective bureaus, ‘pataphysics and poetry – all these inherited solutions for urban bafflement – become the stuff of “unoriginal literature” in an open, expanding “commonplace” of language that precedes and encompasses us. Featured artists include Alejandro Miguel Justino Crawford, Guy de Cointet, Malik Gaines and Alexandro Segade in collaboration with Theodore Darst, Harmony Holiday, Jibade-Khalil Huffman, Bonnie Jones, Sophia Le Fraga, Holly Melgard, Nikita Pashenkov in collaboration with Casey Anderson and Steve Ziadie, Poetic Research Bureau in collaboration with Rich Bott, Syd Staiti, Ed Steck, Divya Victor, Michael Webster in collaboration with Monique Prieto and Diane Ward, and Lawrence Weiner. 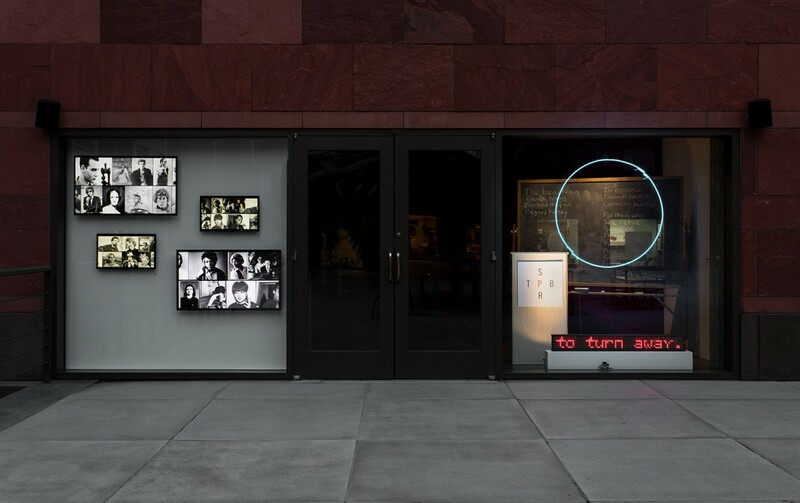 storefront: THIS KNOWN WORLD: Spontaneous Particulars of the Poetic Research Bureau is curated by MOCA Senior Curator Bennett Simpson and Poetic Research Bureau founders Andrew Maxwell and Joseph Mosconi with Executive Assistant to the Chief Curator Hana Cohn.